When Allan Law retired from 32 years as a teacher in inner city Minneapolis he knew exactly what he wanted to do next, spend his life helping the homeless. Even though his doctors have told him to stop working nights, he continues to live on 3 hours of sleep, and says he will deliver food and clothing to those in need until the day he dies. 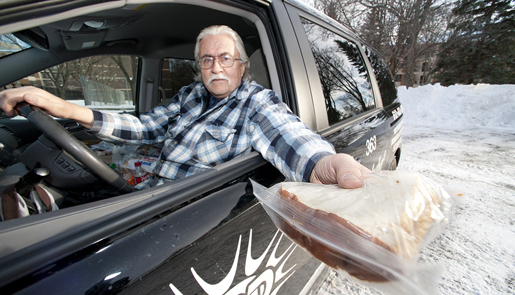 Least year alone Allan handed out 520,000 sandwiches, 2,000 blankets, and 2-3,000 socks to the homeless and hungry in Minneapolis. Watch this video to see just how far is dedication goes. The amount of dedication and compassion this man has is inspiring to say the least!